Malvin Artley, our regular esoteric commentator, presents the Capricorn Solar Festival, 2010, at the Full Moon in Cancer. This is Capricorn's Full Moon, as the Moon is full in the sign opposing the Sun. The Full Moon of Capricorn (the Full Moon at Cancer 29º 21') takes place on the 19th of January 2011 at around 21:22 UT (GMT). Well, 2011 has certainly started with a final roar from the Iron Tiger, leading up to what we hope will be a calmer Year of the Iron Rabbit for the remainder of this year. For those readers not in Australia you have probably heard about the floods in Queensland, which are a repeat of the 1974 Brisbane Floods, which also took place in a Tiger year. However, we should also be aware that there have been hundreds of deaths due to flooding in Brazil this month and that weather patterns worldwide remain extreme. Metal (Iron) in the Five Elements system feeds water with respect to the energetics of the cycle and we have indeed seen massive shifts in water this past year. Drought has turned to floods, there have been blizzards and near-record snowfalls in Europe and the US and—possibly due to the abrupt changes in weather conditions—mass isolated die-offs of fish and birds throughout the world. What a way to start a year! Disasters aside, one of the more heartening aspects of what has happened in these past few weeks has been the response of the public to these disasters. For example, volunteers are lining up in the streets to get into flood-affected towns in Queensland and the outpouring of contributions has been above and beyond the call. The measure of a person's or nation's spirit is their response to a crisis, and if the Australian response is any measure, then I feel a lot better about the state of the world. It is the same the world over, from what I have seen. This year will be one in which we are all called upon to roll up our sleeves and get down to the business at hand, whatever calls us. The Iron Rabbit is no shrinking violet, as we will see in the Chinese New Year letter (to come out in a week or two). There will be plenty to contend with, but it will be in the nature of a call to service for a great many of us. I have heard more than a few people say to me in past weeks that they feel life is on hold a bit and that something is about to happen, like a new phase of life is about to begin. There have been family tragedies, natural disasters, changes of circumstance—all apparently in the nature of an old way of life ending and a new one about to begin. Many of us have been through the mill in the past few years and are ready for something new to come, but then the old adage has to be remembered: “Be careful what you ask for—you might get it!” It is perhaps fitting that the recent disasters on the world stage took place in the Capricorn interval this year, for the teachers and spiritual friends from their side are always on the lookout in this interval for those who are more suited to help, for those who have enough inner light in evidence and who are not afraid of a little (or a lot) of effort. Besides, Pluto will be in the sign for a few years yet and the December solstice while that is in effect will always hold a somewhat ominous or tense tone. 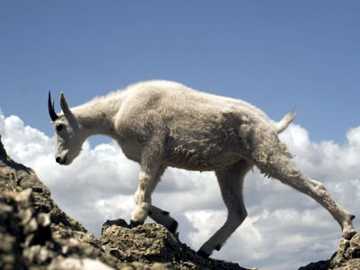 With respect to Capricorn, it is a sign associated with most notably with initiation and attainment—the mountain goat rising to the peak of experience. The particular initiation with which the sign is associated is one in which the orientation of the initiate becomes fixed in attitude and effort, a state of affairs that I would equate with one passing onto the path of seeing—darshanamarga (Skt.) or mthong lam (Tib.). This is also known as the 'path of insight', and it is marked by meditative equipoise, the first successful sustained blending of calm-abiding and insight meditations. The event that marks the attainment of the path of seeing is when one has a direct perception and experience of 'the supramundane wisdom of the noble ones'. “If thine eye be single, thy head will be full of light.” It is said that on this path one proceeds quickly with the attainments of wisdom and cannot be held back. From the Buddhist exposition of the grounds and paths, one attains a full realization of the four noble truths, as taught by the Buddha. One might think this to be a simple attainment, given the simplicity of the wording of the noble truths, but in fact the entire path of deliverance is held within them and is 'the high, rocky road'. To put the matter in Theosophical terminology, one finally succeeds in transcending the lower nature (persona) in Capricorn and begins to traverse the path of the higher nature—the soul or atma/buddhi/manas. One becomes 'a sublime one', an arhat, and from thenceforth is firmly and without reversal a bodhisattva. One attains transfiguration at least and the 'eye of wisdom' (the third eye or integrated forehead center) is finally opened. Capricorn thus opens one fully to the life of the soul, or higher nature. It is said that Capricorn guards the secret to the soul, the 'light supernal'. Yet, even this light itself is ultimately an obscuration and to be transcended. In that regard, there has been discussion recently among some esotericists about the fact that Buddhists say there is no soul, and this bears a little examination, since we are dealing with the subject of Capricorn. In Theosophy, the soul is the 'solar angel' a being which stands as the intermediary in the human being between the monad/buddha nature and the persona. When one attains full enlightenment (full realization of the buddha nature) the 'soul' is released and resolved into its native essences. It ceases to be with respect to what it was. In human terms the soul is relatively permanent and appears from our lower perspective to be permanent and self-arisen since it is that essence that gives rise to us life after life. However, with respect to Buddhist logic, anything which is impermanent and thus bound to cyclic existence has no true existence. In that, the Buddhists are correct. For them the matter is seen from the perspective of the fully enlightened being. Yet, from a human perspective, the soul does exist and is the vehicle that carries us ultimately to the doorway of full enlightenment. Buddhists say in truth there is no such thing as a person either, yet Buddhist teachers will say in the same breath that we are people. We are, but we are not. It is a matter of perception and interpretation that governs whether or not a thing is real, much like the wave/particle duality in physics with respect to material existence. Are we matter, or are we energy? One could say, in fact, we are both simultaneously. So, what is the secret of the soul? The soul to us is the 'light supernal', the wisdom that transcends worldly existence, the wisdom of the path that leads one to the ultimate experience of clear light, yet cannot go there itself. Capricorn is the gateway to the soul, to the 'path of seeing', in my opinion. The soul contains the wisdom of all that can be known and taught of the higher way, the dharma. The stages of the full realization of soul-wisdom can be seen as the successive realizations of each of the four noble truths: the truth of suffering, the truth of the origin of suffering, the truth of the cessation of suffering, and the path that leads to the cessation of suffering. In short, the way of the soul is the way of truth. Much, if not all, of that path is related to the release from the sufferings of existence, both higher and lower. This is the Saturn rulership over Capricorn, as Saturn is the principle of limitation and mental suffering—wrong views, as Buddhists would call it. Yet, for many readers to think of the soul ultimately as a limitation (a subtle obscuration to omniscience) and something to ultimately be transcended itself is tantamount to blasphemy and at the least very distasteful. After all, the soul is seen in religions as the highest and best part of ourselves, that which is of God and returns us to the divine. Again, both views are true and valid depending upon one's perspective. To clarify the matter and give the mystery of the soul its due place, the path of the soul is the path of the bodhisattva—the great beings whose only thought and purpose is to relieve the sufferings of each and every sentient being. A bodhisattva lives fully within the light supernal, yet cares not for it, instead being motivated solely by the desire to be of service to those who still suffer. Yet, in that service they attain the goal they wish for every suffering being—full enlightenment. Thus, we have the aphorism of Capricorn: “Lost am I in light supernal, yet on that light I turn my back.” Capricorn reveals to us the leviathan (the true animal associated with the sign) of our self-grasping—the three sufferings (suffering of suffering, suffering of change, and the all-pervasive suffering of conditioning)—and shows us the path away from it. Rather than seeing the soul as a subtle obscuration, then, perhaps a better way of viewing it is as a path (or if you like, a being) which leads one to enlightenment. With respect to one's spiritual path, the soul is 'the way, the truth and the light', the Christ/Bodhisattva within each of us, and that is no small thing and definitely not something simply to be dismissed as 'non-existent'. What of the experience of the Capricorn type, then—one who has either the Sun or Ascendent in Capricorn? Capricorn is said to rule the best and the worst of humanity. It is the cult of personality and the way away from it. It rules over both worldly and other-worldly attainments. In its lower phase its expression is “Let ambition rule” and it then becomes the inverse reflection of the higher aspect of the sign and worldly in the extreme. The end goal before any Capricorn native is some sort of sustained contact with the higher parts of themselves if they are clearly on the spiritual path. One could say the attainment of Capricorn is fixity upon higher goals. If one is a practiced meditator, then clearly the goal is the union of calm-abiding and insight. In general, one might say that the goal for Capricorn in general is to exhibit all that is the best within us and to sustain that on a daily basis, as much as one can. This can be particularly difficult for Capricorns, for the general trend is for them to make themselves comfortable in the world and then turn their attention elsewhere. In the end, the major realization to come for the average Capricornian is that no worldly attainment ever brings lasting happiness and often brings quite the opposite. This realization—that satisfaction breeds only discontent—is the catalyst that will lead them to the door of higher wisdom. To close this discussion, one sometimes encounters great spiritual teachers who are Capricorn types and they are indeed exemplary of the highest aspects of the sign. The hardness of the Capricorn gives way to the sweetness of bliss and then the joy of Venus (as the highest ruler of the sign) shines through. The path of seeing is sometimes called the 'path of joy', after all, and such a teacher exudes the joy that comes from seeing his/her charges overcome their illusions and step firmly onto the path of return. They can be hard taskmasters, especially in their earlier years, being harder on themselves than on their students, but the rewards from being associated with such a person far outweigh any discomfort, for their motives are, in the end, only care for the student. The highest Capricorn is an incarnate bodhisattva, a mahatma, and to come under their care and tutelage is a blessing beyond measure. With that, how does this full moon look in terms of what has been considered in the preceding paragraphs? In part two of this article, Malvin Artley continues his exploration of the esoteric implications of the Full Moon in Cancer, the Capricorn Solar Festival for 2011. He examines, the aspects and the degrees with a view to their political, personal and spiritual significance. Read part two of The 2011 Capricorn Solar Festival at the Full Moon in Cancer.